Are Activist Investors Really Activists? 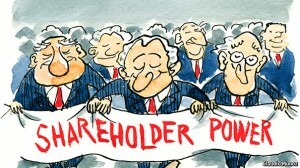 Next to a tongue-in-cheek image of besuited men marching with a brightly scrawled banner (left), the article argues for the value of “shareholder activists” or “activist investors” like billionaire Carl Icahn (pictured above), who force corporations to make management decisions in order to increase share price. I’ve spent the last couple of months developing a conceptual definition of activism and, though it’s imperfect, the most accurate yet parsimonious I’ve been able to come up with is the following: Â Activism is an activity that seeks to remove a collective threat or attain a collect benefit through the use of public displays. So, while owning shares is a form of leverage that is not a public display, making “a public call” and lobbying “management and other shareholders” is. Â (Mr. Icahn even uses Twitter, to “mount a campaign,” tweeting “like a budgie on speed”). Also, public display need not be the only means of exerting pressure, it’s just the most common method. Â In his book Rules for Radicals,Â the organizing guru Saul Alinsky, suggested ordinary citizens become shareholder activists in order to influence corporate policy and Civil Rights activists used the court systems to win civil rights victories when other branches of government were not responsive. 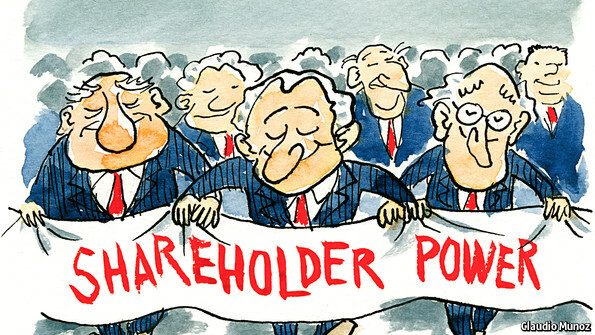 The more pressing question as to whether shareholder activism fits the definition of activism is whether the activist shareholder is seeking a collective benefit or merely his own. Â The argument of The Economist is that corporate inefficiency is a collective problem, and the effect that activist shareholders bring about to remedy it is a collective benefit. According toÂ The Economist, “recent academic studies suggest that, by and large, activists are good for companies.” Â They increase “both the share price and the operating performance” over a period of years. So, while one might disagree with the particular benefit sought by activist investors (making rich people richer), it does seem that Carl Icahn is an activist by the same definition that an anti-corporate Occupier is.